Federal agents arrested two Hartford residents for allegedly stealing the identities of high-profile celebrities, including rapper 50 Cent and New York Knicks star Carmelo Anthony, and paying for Tiffany & Co. diamonds, Honda Vespa scooters and three used Cadillacs with the victims' credit cards. After a five-year investigation, members of the Connecticut Financial Crimes Task Force, the United States Secret Service, and the Hartford Police Department issued a search warrant at a home on Capitol Avenue on Thursday morning. Authorities arrested Jonathan Preston, 22, and Lumi Nunez, 33. According to investigators, the pair defrauded seven high-profile victims across the country including singers and athletes from Farmington, Conn., Miami and Beverly Hills. Court documents showed Preston and Nunez found the celebrities' personal information on the Internet, and got ahold of their credit card numbers. They are accused of spending more than $500,000 on items that included Tiffany diamonds, dozens of Honda Vespa scooters and expensive cars. Investigators said most purchases were made online and on the phone. Money was also transferred to a Foxwoods Casino account Nunez had and spent on blackjack and roulette, according to court documents. The documents also showed a singer in the Farmington case was taken for more than $462,000. The suspects allegedly used his American Express number, bought three Cadillacs and hired a limousine to drive Lumi Nunez and a child from Hartford to Ohio. 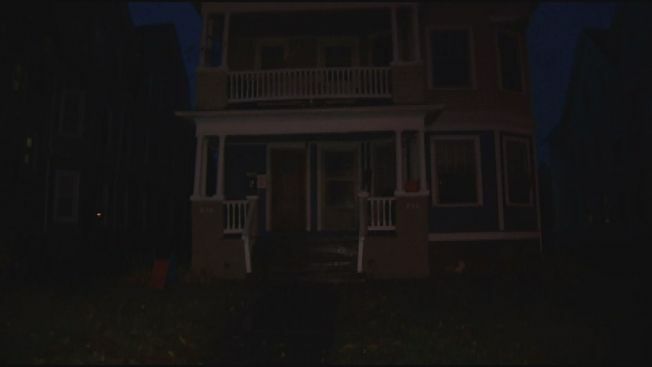 Residents of Capitol Avenue woke up to find federal investigators and the Secret Service surrounding the home. “Seeing that this morning, 'Oh my Lord. I know one of the federal agents -- she brought out three bags,” Anna Reyes said. “Honestly, everyone in that building. ... I wouldn't suspect it’ they’re nice,” explained neighbor Chris Roby. He also lives near the suspects and said he was shocked to hear the pair was supposedly running an elaborate scam. Preston and Nunez are being charged with credit card fraud, bank fraud, wire fraud, identity theft, counterfeiting and conspiracy. Investigators did not release names of the victims.